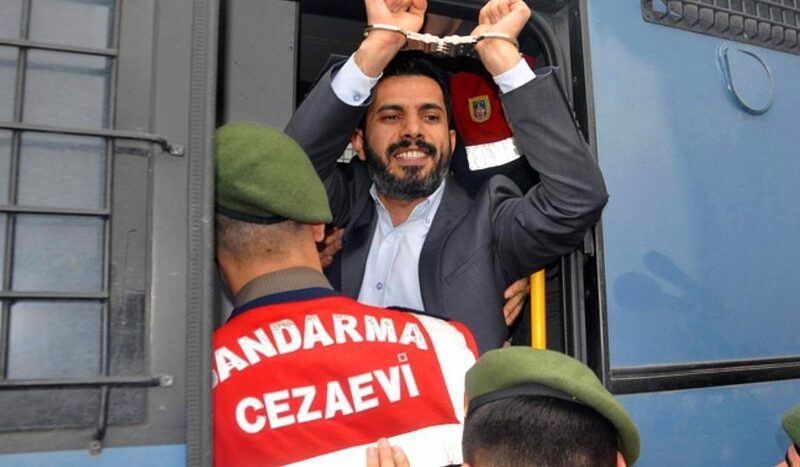 An İstanbul court on Monday ruled to keep in prison former Taraf daily journalist Mehmet Baransu, who was jailed in March 2015 after he revealed an alleged government plan to “eliminate the Gülen movement” based on a secret document he published in 2013, the T24 news website reported. Baransu also asked the court to lift its ban on the rights of lawyers. When the judge said Baransu was on the list of users of smart phone application ByLock, the journalist said he had not yet received the report on his mobile. “The day where I and Ahmet Altan [editor in chief of Taraf] are released, many things will have changed in this country,” added Baransu. The court scheduled the next hearing for Jan. 31. In September, a prosecutor at the Istanbul Public Prosecutor’s Office demanded Baransu’s conviction and a sentence of up to 31 years in a criminal case regarding a news story that revealed a National Security Council (MGK) document of 2004 in which the Justice and Development Party (AK Party) government agreed to eliminate the Gülen movement, which is accused by the AKP of masterminding a failed coup attempt on July 15, 2016. Baransu, an outspoken government critic, was put behind bars on March 2, 2015 on charges of releasing classified documents. Nearly 30 police officers raided and searched his home in İstanbul’s Eyüp district for 12 hours before detaining him for questioning in relation to documents he submitted to prosecutors in 2010, prompting a major coup trial known as “Sledgehammer” that implicated top military officers. This article originally appeared on Turkish Minute on Dec 4.